George Zimmerman, the 28-year-old neighborhood watchman who shot and killed Trayvon Martin on Feb. 26 in Sanford, Fla., has been charged with second-degree murder in the 17-year-old’s death. “Just moments ago that we spoke with Sybrina Fulton and Tracy Martin, the sweet parents of Trayvon,” Angela Corey, the special prosecutor investigating the case, said at a news conference in Jacksonville. “We did not come to this decision lightly,” she said, declining to discuss specifics of the investigation. Zimmerman turned himself in and is in police custody in Florida, Corey said, but would not disclose where he is being held. The announcement comes a day after Zimmerman’s attorneys said that they were dropping the case because their client had stopped communicating with them. 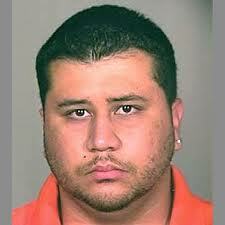 On Sunday, Zimmerman launched a website seeking donations for his legal and living expenses. Zimmerman, a neighborhood watchman, shot and killed Martin on Feb. 26 in Sanford, Fla., a gated community outside of Orlando. He told police he was attacked by Martin and was acting in self-defense. Earlier this week, Corey announced the case would not go to a grand jury.